Is Your Medical Aid Too Rich? You are coughing up thousands a month for medical aid. So you will be outraged to hear that your medical scheme withholds 25% of all its members’ contributions in reserve. Is your medical aid too rich? The Medical Schemes Act requires this minimum level of solvency, so your medical aid does not have much choice in the matter but to obey the law and hold the cash. South Africa’s two biggest medical schemes hold over R11 billion EACH in reserve to meet the law’s requirements. That’s tens of billions of rand lying there earning interest that you don’t get. Instead, you may find yourself arguing with your medical aid, trying to get them to pay your legitimate expenses. It doesn’t seem right – and the experts agree with you. Christoff Raath of the Health Monitor Company says the 25% figure in the Act was sucked out of thin air. No one knows where this figure comes from, he said. And he added that investing just half these reserves would achieve a great deal. Needless to say members’ contributions could reduce radically as well if the solvency ratio was lower. Raath called the 25% reserve stipulation an effective tax on members. That is because contributions are invariably rise to maintain the solvency level. The 25% reserve level is there to provide a buffer in the case of something going wrong. But Raath said he could not imagine a catastrophe, short of a Black Death mass infection scenario, that would justify this kind of solvency. As with many group schemes in human society, the reserve level penalizes efficient schemes that produce a surplus and rewards loss-making schemes. Raath added that the 25% solvency stipulation made it extremely difficult for new entrants into the medical aid market to build their reserves. 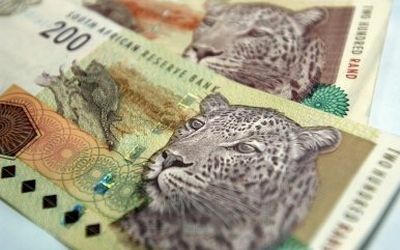 As the value of the rand drops and medical costs skyrocket, many restricted schemes (those for designated companies or industries) are spending their surplus reserves to help cover their members’ medical costs. Even some open schemes (ones that anyone can join) are struggling to maintain the 25% ration. Discovery Health’s solvency ratio was 23.5% in 2012. Is a 25% Solvency Level Necessary? Raath said that research based on information obtained from the Council for Medical Schemes (CMS) relating to the financial performance of medical schemes for the past ten years indicated that 76% of medical aids showed surpluses, and that no major open medical aid lost more than 12.5% of its reserves in one year. Raath said there was widespread agreement that the stipulated reserve level was too high and that experts were working with the CMS on a different approach. Attend your medical scheme’s annual general meeting and complain about your medical aid’s high reserve level.